Take a fan of Legos, add in a love of science and technology and you have a Gearbot. Southern Maine Gearbots started last year for students in kindergarten to eighth grade. The program uses special Lego kits that expose the children to STEM (Science, technology, engineering and math). “The Lego robotics and computer software bring it all together for the kids,” said coach and secretary for the Gearbots Michelle Jordan. Southern Maine Gearbots are holding their second annual district meet at Saint Joseph’s College on March 30. The competition changes depending on the league. There are two leagues. The junior league has nine teams made up of kindergarten to third-graders with six members on each team. The senior league has seven teams consisting of third- to eighth-graders. The third grade students can decide which level they want to compete at. Southern Maine Gearbots is separate from the school, said Jordan. It also has competitors from area schools who didn’t have enough interest to create a team or league. Saco has 56 children, Windham has 102 participants and Gorham, Falmouth and Portland all send a few students. “It’s a great opportunity. Instead of everything after school being about sports, they’re exposed to something new and different.” The season runs from January to the end of March. The teams meet once a week for an hour and a half. Since January the junior league has been working with the US First Lego kits to design and build something to help seniors overcome their challenges. The teams had to interview seniors and compare how their lives have changed and to discover what they have difficulty doing. Over the 11 weeks of preparation, the competitors work through a curriculum covering simple machines like pulleys and incline planes. Jordan’s team created a wheel chair designed to help a senior when eating at a buffet. The finished model fits on a 15 x 15 foot base plate. The students learn about robotics through this process. When they are judged as a team, they display their product and are interviewed about it. “It’s amazing to watch what they come up with and what they do,” said Jordan. The senior league works with Maine Robotics under the direction of Tom Bickford at UMaine-Orono to compete in various challenges like who is the strongest, the fastest or who can pull the most weight up an incline. They use the Lego-Mindstorm products and are not given as much guidance, according to Jordan. In the future, Southern Maine Gearbots would like to include a high school team. “At this time, we don’t have something for the kids to go on to,” said Jordan. On March 30, the meet is open to the public as Windham and Saco compete. Andrew Milluzzi, a Lego engineer will be a featured speaker. “We’ve had a lot of growing pains last season, but we’ve worked through them. We have definitely made some strong improvements,” said Jordan. It is advised that children have 175 minutes of physical activity each week, while in school. With 818 students at Windham Primary School, the need for good and appropriate play equipment is critical. After three years of planning and being promised funding from the school board, parents and teachers have banded together to raise half of the money needed for new playground equipment. “We have 22-year-old original playground equipment that no long meets the needs of today’s students,” said volunteer coordinator at WPS Michelle Jordan. “They were built with one size kid in mind,” she said. The plan involves disposing of the existing materials and expanding what is now called A house playground back into the woods and not using the C house playground space, which tends to be muddy and not useable in the spring,” according to Jordan. The new community space will include a walking path, play areas, a baseball field, outdoor basketball court, a large grass play area, two swing sets and two playground areas, one for smaller students and the other for second and third graders. The whole complex will be fenced in. Also increased will be the parking and traffic flow. Completed the project will cost $900,000. The goal for the parents is to raise $50,000, but they would accept donations for any part of the project. “We are focusing on the playground because it wasn’t included in the financials when it started,” said Jordan. During conferences parents are encouraged to buy raffle tickets for baskets that have been donated and are on display at WPS. There is also a $500 cash prize which will be raffled off. Every $10 donated gets one raffle ticket. In April, students will be collecting pennies for our playground, said Jordan. Work on the project is expected to begin when school closes and will be completed two weeks before school starts. For more information on the project, visit www.rsu14.org, email wpsvolunteer@gmail.com or on Facebook under Windham Primary School Playground. When one has turned 37 as many times as Rita Losee, it is expected that she has seen a lot of life. However, for her life hasn’t included too many knitting circles or rocking chairs, instead it has included some amazing adventures. Losee doesn’t want to be pigeon-holed into a mold. “I’ve never lived a normal life,” she said. Proof of that is by her actions, having done a triathlon in Hawaii, climbed Mount Kilimanjaro, been a through-hiker on the Appalachian Trail and has published two books. “I can’t imagine living any other way. I created a mission statement for my life,” she said. In her thirties, Losee started running. “I was growing up into being a jock,” she said. Losee is a nurse by trade, having studied at Maine Medical Center, and then earning her doctorate in Rehabilitation Counseling with a focus on psychiatric rehabilitation at Boston University. 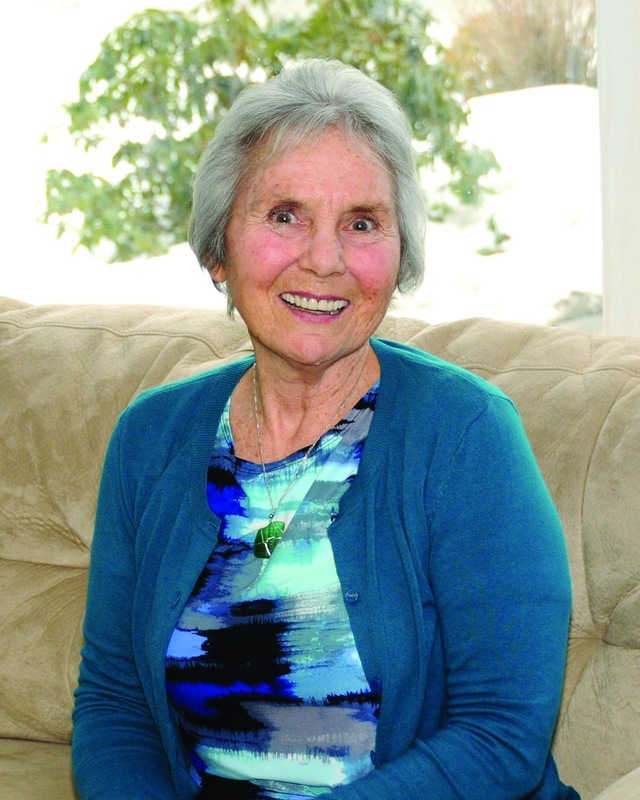 After returning home from the Appalachian Trail (AT) in her fifties, she developed Lyme Disease and spent eighty percent of the last three years as a recluse in a recliner, she said. 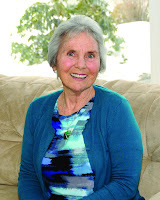 Now that she has her health back, she has returned to her life of adventure and is speaking publically to groups and is penning her new novel, titled, “Healthcare Nightmare: One nurse’s life at the chilly end of the stethoscope and how she got well.” She plans to self-publish the book once it’s finished. She is also a member of Legal Shield. Losee coined the word “Inspiractional,” which comes from combining inspiration and action. “When you do that you get fabulous results,” she said. In her months on the AT, Losee learned about “trail magic,” which she still believes in. Trail magic is the little things that happen for a reason, some call it karma. She believes that when she asked the universe for a nice woman to pick her up to drive her to a hotel on a stretch of the AT in North Carolina and a woman turned around to ask if Losee wanted a ride, that’s trail magic. “It exists because people believe it,” she said. Losee doesn’t believe in letting fear run her life. She wants people to be inspired by her story and be motivated to action. I would like to congratulate the owners and staff of the Windham Eagle for the successful launch of this new publication. It is very exciting to have a new source of news and other information for people in the Windham area, and I am certain that we will be hearing a lot about this newspaper in the years ahead. I am also impressed with the positive articles and tone expressed in the Windham Eagle. I thought this would be a good forum for me to introduce myself to those who don’t know me. I am State Senator Gary Plummer. I am a lifelong resident of Windham and have deep roots in the community, having been a schoolteacher in Standish and Windham for 33 years. I also served on the Windham Town Council and was a Cumberland County Commissioner. In 2004, I was elected to the Maine House of Representatives where I served the people of District 111 (Windham) for eight years. Last year, I was elected to the State Senate, and currently represent the people of District 12. There are significant differences between the House of Representatives and the Senate. The House has 151 members, each of whom represents a single district that is made up of one or more communities, depending on the population distribution in the district. The Senate has 35 members, each of whom represents a much larger geographical area. Senate District 12 includes the Cumberland County communities of Casco, Frye Island, Raymond, Standish, and Windham, as well as the York County town of Hollis. As with the United States Congress, most state representatives and senators have committee assignments. I am the ranking Republican on the Criminal Justice and Public Safety Committee. There are 16 joint standing committees. Each committee has three state senators and 10 members of the House of Representatives. Once bills are submitted, they are referenced to a committee, where they receive a public hearing. In most cases, after deliberating on the proposed legislation, the committee gives the bill an “ought to pass”, a “ought not to pass” or an “ought to pass as amended” vote, and the legislation moves to the House and Senate for final disposition. House members and senators serve two year terms. The first session, which we are currently in, is the longer of the two, and typically runs from January to June. The second, shorter session usually runs from January to April. My party affiliation is Republican, but I consider that secondary to my more important role of representing everyone- Democrats, Republicans, Independents, and Greens-who lives in Senate District 12. I consider it an honor and a privilege to serve as your senator, and I will do everything in my power to assist you. If you have a question or concern about what is happening at the State House, I would encourage you to contact me or my staff at (207)287-1505 or e-mail me at geplummer@aol.com. As we move through the session, the Legislature will consider approximately 1,700 bills. I always welcome your input or opinion on any of these proposed new laws. Spring, with all of its promises of new beginnings, seems an appropriate time to welcome a new voice into the community. I would like to wish the staff of the Windham Eagle the best of luck with their new endeavor, and I look forward to reading the next issue! 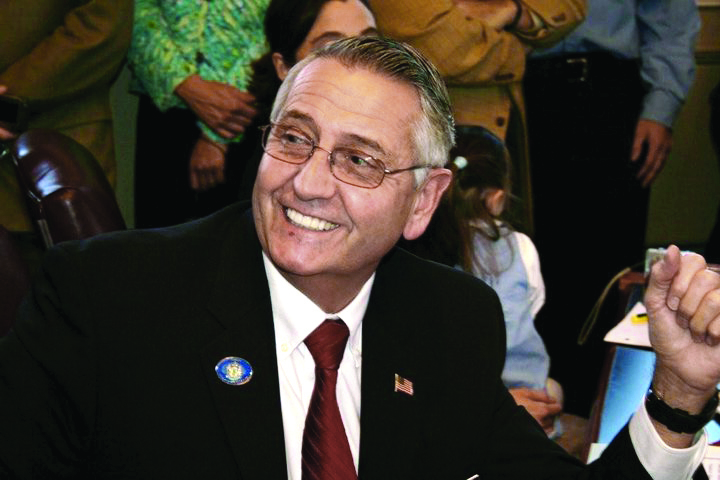 Senator Gary Plummer represents Maine Senate District 12, which includes the Cumberland County communities of Casco, Frye Island, Raymond, Standish, and Windham, as well as the York County town of Hollis. Our purpose in providing this information is twofold: first to get your attention and second to let the public know that the Windham Fire-Rescue Department has obtained another allotment of carbon monoxide detectors. The purpose of providing this article is to alert people to information about carbon monoxide (CO). Carbon monoxide is produced from the burning of products, whether it might be wood or petroleum products. Carbon monoxide is an odorless, colorless gas. It is also toxic and dangerous because you cannot smell it or taste it. The effect of the gas to humans or animals is that it may produce nausea, mild headaches, dizziness and disorientation. The detectors the Windham Fire-Rescue Department has are provided through a grant written by Lieutenant Anthony Favreau to the Narragansett Number One Foundation. Lowe’s Home Improvement Warehouse assisted with the purchases of the units. These are going to be given away free to Windham residents that do not have a detector currently. These will be provided on a first come, first served basis. They may be obtained at the Windham Public Safety Building, 375 Gray Road, Windham, Maine, beginning on Tuesday, March 12, 2013. The hours that a person may obtain one for their home is Monday through Friday between the hours of 8:30 a.m. and 1 p.m. You will be required to sign that you are receiving the carbon monoxide detector and provide information as to the address where it will be installed. You will also receive additional information about carbon monoxide in addition to the free carbon monoxide detector.